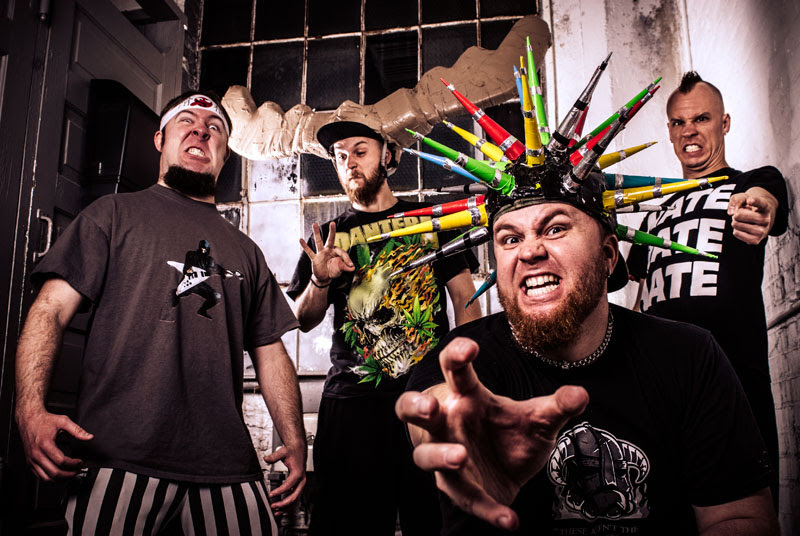 The ‘Ugly Americans Tour’ is in support of Psychostick’s latest album ‘IV: Revenge of The Vengeance’ released last November on Rock Ridge Music. The album features 21 tracks of pure rock comedy genius with titles such as ‘Obey The Beard’, ‘Dogs Like Socks’, ‘Quack Kills’ (a song about Anatidaephobia: The fear of being watched by a duck), ‘Bruce Campbell’ (a tribute to the 21st century’s most beloved action hero), ‘NSFW’ featuring Bill Manspeaker (founder of Green Jello), a spoof cover of Kenny Loggins’ ‘Danger Zone’ and many more! There’s no wonder why these guys are the kings of parody metal!